Soaring pilots have unique opportunities as members of Cu Nim. Our passion for cross-country soaring and pilot development are paying off! Members join a supportive group of mentors and colleagues, and have unmatched opportunities to explore Canada’s most diverse soaring terrain! 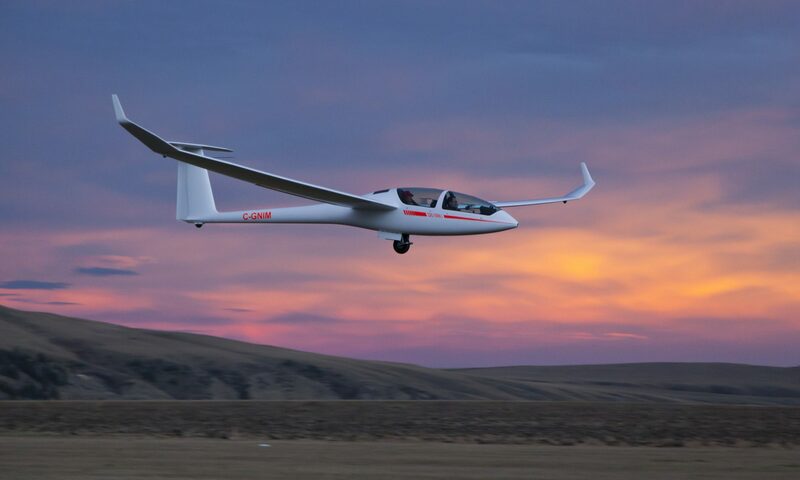 The 2018 soaring season was Cu Nim’s best – our highest scoring OLC season, with a record number of pilots participating, and the Club’s best performance among Candian gliding clubs ever – 4th. Eight of our pilots were included in the top 100 Canadian XC pilots on OLC, and our members occupied 2nd and 4th, 5th and 6th in the 2018 Alberta Provincial Soaring Championships. As a club, we support XC development with an innovative program developed at Cu Nim, called the ‘Proving Grounds’ with defined triangles which build on themselves to introduce the challenge and ease of XC soaring to novice pilots. Fly with us – further, faster, for more fun! When overflying, please avoid the CYA 263(S) Advisory Airspace when operations are underway. The possibly many, small, difficult to see sailplanes will have erratic flight patterns. Please attempt to contact us on radio frequency 123.4 MHz to determine if we are operating. Powered aircraft are welcome to utilize the Cu Nim airfield at their own risk. The runways are grass and have irregular surfaces, with badgers making large holes in inopportune locations (backfilled by Cu Nim club members on a regular basis during the flying season). Please contact us at 123.4 MHz well in advance of landing. No winter maintenance.